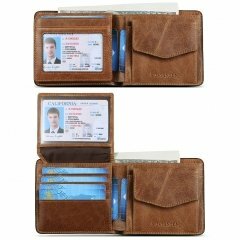 High Quality: The wallet is made of top cowhide leather , Lining is carefully chosen by the designer for the best fabric. 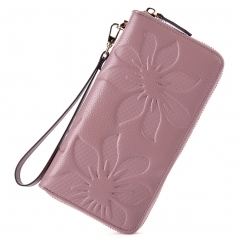 Each wallets is an elaborate product with a delicate gift box package. It is one of the most special gifts for Birthdays, Anniversaries, Father's Day, Christmas and other Special Occasions. 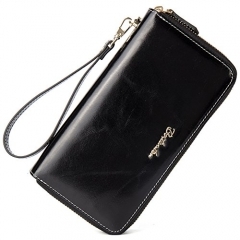 Rfid Blocking Security: Our wallets are equipped with advanced RFID SECURE Technology. Whether you use public transportation, live overseas, or enjoy vacations abroad, wherever you go, you will be safety to store currency bills and cards and be shielded against unwarranted from unauthorized scans. 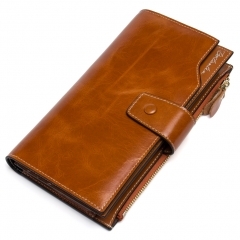 Compact Design: The bifold wallet will suit your travel and daily use, keeping cards safe and organized! 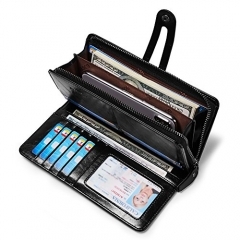 It holds 10+ cards, 2 cash slots with lots of cash and 2 ID Windows (driver license & other ID cards)! It’s easy to carry all your important cards, meet all your needs. 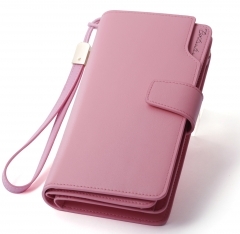 Slim and Stylish: Dimensions is (L)4.53" x (W)0.69" x (H)3.94" inch (folded, empty). 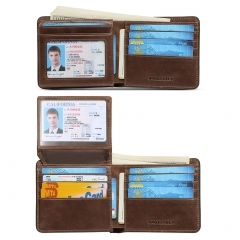 the dimensions of the wallet allow it to slip in and out of any pocket with ease. 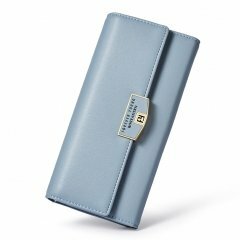 But such a slim size has full function, When we say this wallet has each and every one of your needs covered, we mean it. Warranty: BOSTANTEN offers a 100% satisfaction 2 years guarantee. If you are not satisfied with our product or service for any reason, please feel free to contact us. We will either refund your money or redeliver a new product.